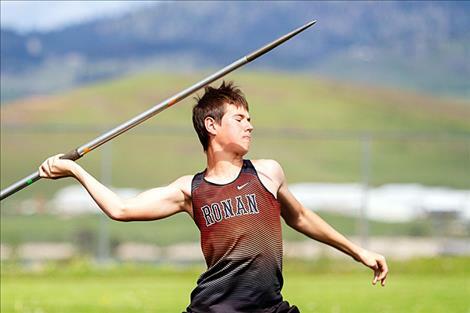 Ronan Chief Dylan Kelch prepares to throw the javelin. Charlo Lady Viking Tyrah Hammond wins the pole vault. Mission Lady Bulldog Afton Brander wins the triple jump. 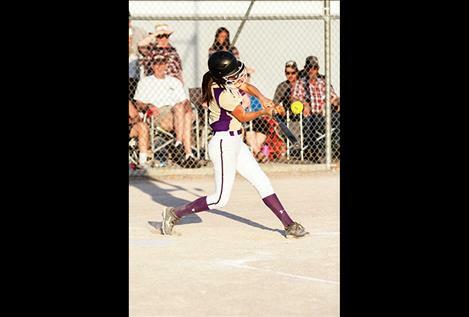 Mission Lady Bulldog Tomi Brazill takes a swing. Mission Valley Rockies: On Saturday, the Rockies split a double header on the road against the Missoula Pioneers falling 14-1 in the opener and winning 7-6 in the night cap. At home on Sunday, the Clark Fork Cougs swept the Rockies in double header action 13-1 and 6-4. Mission Valley Mariners: On the road Thursday, the Mariners outlasted the Missoula Mavs A in a 5-4 battle. The Mariners defeated the Cranbrook Bandits 19-1 on Friday to open the three-day Canadian Days American Legion baseball tournament at Archie Roe Field in Kalispell. The Mariners split Saturday’s games falling to Kalispell A 3-2 and defeating Olds Spitfires 13-1. On Sunday, the Mariners lost to Kalispell A, 9-2 finishing the tournament with a 2-2 record. 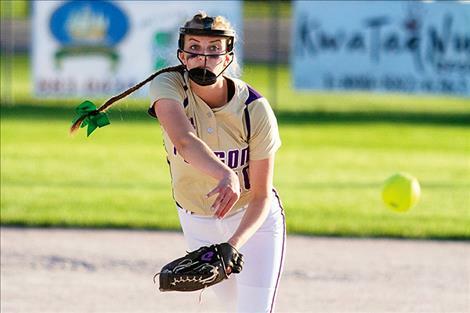 Vanessa Smith tossed a complete game five-hitter with eight strikeouts as the Lady Pirates defeated visiting Columbia Falls Wildkats 6-0 on Thursday evening. With the win, the Lady Pirates finish the season undefeated at 10-0 in the Northwest A conference and 18-4 overall. 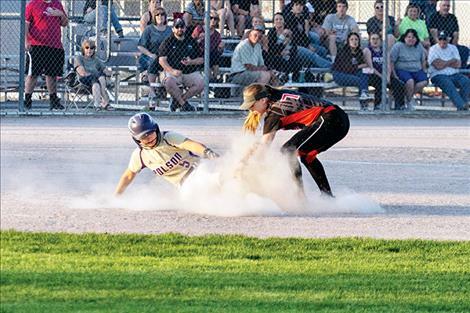 During the game, future Griz Kaelyn Smith broke a 13-year-old Polson school record for career stolen bases of 148. Polson advances to the state tournament next weekend at the Frenchtown Softball Complex. The Ronan Maidens closed out the season on the road with a 24-0 win over Browning on Saturday. 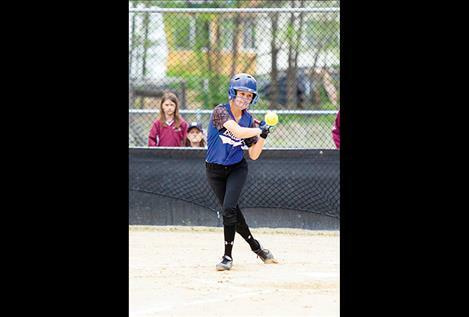 Gabby Wirz pitched a five-inning no-hitter with 10 strikeouts and went 4 for 5 at the plate with three RBIs. Emilie Corley led the Maidens with six RBIs, smashing her second grand slam of the season, while Marissa Mock followed with five RBIs and a home run. Western B-C Divisional: Frankie Smith drove in five runs and hit a homer helping the MAC Bulldogs defeat Missoula Loyola 11-6 in the first game of the Western B-C Divisional Tournament on Friday in Florence. 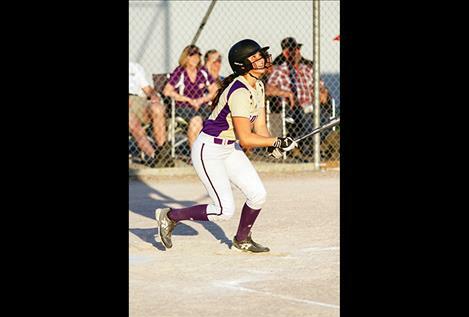 MAC fell 13-1 to the eventual Western B-C Divisional Champion Florence in game two on Friday. 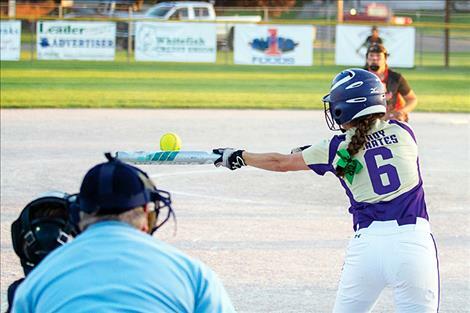 On Saturday in an elimination game, Hailee Crawford blasted two home runs and pushed five runs across the plate in an 11-8 loss against Plains. Northwest A Divisional: Polson took home the girls team title and the boys finished second during the Northwest A Divisional Tennis Tournament in Libby on Thursday and Friday. Lady Pirate Shea McGuinness beat Libby’s Mehki Sykes in the semifinals on her way to the girl’s singles title where she defeated Claire Carloss of Whitefish 7-6, 6-2. Teammate Josie Peterson finished fourth. Kyler Lundeen and Berkley Ellis who have anchored the No. 1 doubles spot for the Lady Pirates this season outlasted Aubrey Hanks and Olivia Potthoff of Whitefish 6-3, 5-7, 6-4 for the doubles title. In the consolation finals for the boys, Johnny Moore beat Jayce Cripe of Whitefish 6-2, 6-2 to take third place in singles action. It took two sets for Polson doubles team of Carson McDaniel and Joe McDonald to knock off Coleman Taylor and Thomas Yellow Bird of Ronan 6-0, 6-1 for third place. Both Polson and Ronan High Schools will be hosting the State Class A Tennis Tournament starting on Thursday. 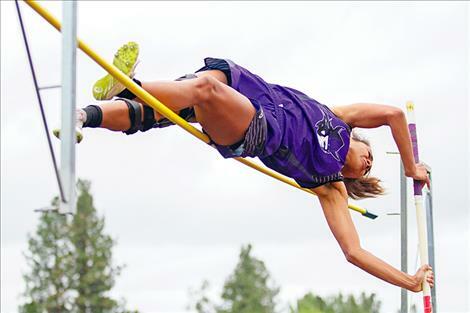 Western A Divisional: More than 600 athletes from 12 schools gathered in Polson for the Western A Divisional Track and Field meet Friday and Saturday. Both Polson boys and girls teams placed sixth in the team standings, while the Ronan boys placed ninth and the girls finished tenth. Winning titles for Polson were Bea Frissell in the 800 (2:20.30) and 1600 (5:23.55), Quin Stewart in the 800 (1:58.33), Colton Cote in the 100-meter hurdles (15.51) and Mikaela Ducharme in the triple jump (33-10.50). Kinsely Barney’s third place finish in the 100-meter and 200-meter and James Normandeau’s third place finish in the 1600 were the top finishers for Ronan. 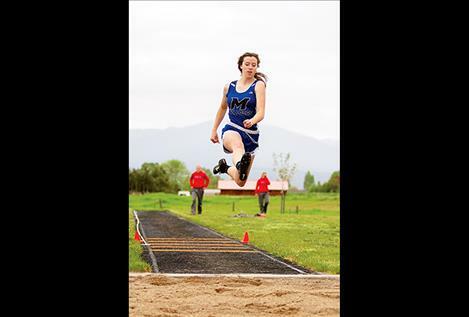 Western B Divisional: The Mission Lady Bulldogs finished fourth in the team standings during the Western B Divisional Track and Field Tournament in Frenchtown on Thursday and Friday. Mission received titles from Karolyna Buck in the high jump (4-10) and Afton Brander in the long jump (16-05). Michael Durglo was the top finisher for the boys with fourth place finishes in both the discus and shot put. Western C Divisional: Following up an impressive performance at districts, the Charlo Lady Vikings fell just five points shy of winning the Western C Divisional team title on Thursday and Friday in Frenchtown. The boys had a strong performance placing fifth. Wills Degrandpre with second place finishes in both the 1600 and 3200.